Here is a example of a demand package to settle a car accident case. You can get my thought on how to write a demand letter here and here (which also has samples in other types of personal injury and wrongful death claims. As you know, this office represents March Jackson in connection with injuries sustained as a result of a car accident with your insured. This case arises out of a five car chain reaction accident that occurred on the 495 Washington Beltway on April 19, 2010. You have conceded liability. The Plaintiff, Marcy Jackson, was working at the time of the accident and this is a third-party liability case against the adverse driver. Ms. Jackson’ past medical expenses to date are over $77,000.00, her future medical expenses are estimated at a minimum of $15,000.00, and her past lost wages are in excess of $146,000.00. llstate insured the underlying tortfeasor and carried a single limit automobile liability policy in the amount of $1,000,000. (See Plaintiff’s Exhibit “A,” the Declaration Sheet.) Because this was a five -car accident, other claims have been paid out under the policy. To date, the $500,000 single limit has been reduced to $891,000, which is the balance available for negotiation purposes at mediation. Let’s turn to the facts of the case. On April 19, 2010, the Plaintiff, Marcy Jackson, was a passenger in a 2010 Ford Focus stopped in the exit lane for Georgia Avenue on eastbound Interstate 495. Due to congested traffic, all vehicles in the exit lane were stopped. The vehicle directly behind the Plaintiff’s vehicle was struck by the Defendant’s vehicle, which was a 2000 Ford pick-up truck. The force of the initial collision set off a five-car chain reaction rear-end accident. (See Plaintiff’s Exhibit “B,” the Police Report). The force of the impact at the time of collision caused the air bags to deploy in Ms. Jackson’ vehicle and caused Ms. Jackson to be forced into the dashboard. Ms. Jackson struck both of her knees on the dashboard, causing severe pain and ultimately resulting in three knee surgeries. At the time of the collision, the Plaintiff was employed as an Area Manager for the James Electronics, earning approximately $54,000 per year. On the date of the accident, the Plaintiff was on a work-related trip to Maryland to train new managers for a branch opening in Maryland. Ms. Jackson was taken to Holy Cross Hospital immediately following the automobile collision. She suffered injuries to her neck, back, both knees, right foot and lungs. She inhaled the powder that filled the passenger compartment of her vehicle following the deployment of the air bags. The trauma to her knees was keenly evident at the time of the collision as Ms. Jackson was unable to stand and fell to the ground immediately upon exiting her vehicle. Following her discharge from the emergency room, Ms. Jackson sought medical care and treatment in Virginia. She began a course of physical therapy for the soft tissue injuries to her neck and back. Ms. Jackson’ injuries to her neck, back, lungs and right foot fracture, have all significantly improved. However, Ms. Jackson’ knee problems persisted and, ultimately led to three separate surgeries, and a proposed fourth surgery. Let’s talk about these surgeries. The Plaintiff’s first knee surgery was to her left knee on July 2, 2010. The pre-operative diagnosis was chondral injury to the patella, creating chondromalacia of the patella. (See the operative note, attached hereto as Plaintiff’s Exhibit “C.”) The pertinent portions of the operative note reveal that the patellofemoral joint had evidence of significant chondromalacia over the distal pole of the patella on the lateral facet. There was also significant deep softening of the articular surface. The surgeon debrided the affected areas. Following the July 9, 2010 surgery, Ms. Jackson participated in physical therapy. Ms. Jackson’ second knee surgery was to her right knee on January 24, 2011. 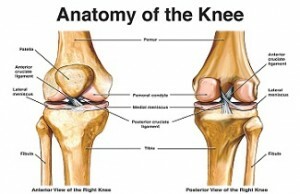 The pre-operative diagnosis was right knee chondral injury to the patella and right knee synovitis. During the surgical procedure, Dr. David Freeed identified significant softening of the articular cartilage in a small area with grade 3 and grade 4 changes in the mid-portion of the patella. Additionally, significant reactive synovitis in the suprapatellar pouch was identified and resected with the arthroscopic shaver device. There was additional synovitis in the intercondylar notch that was also resected. (See the operative note, attached hereto as Plaintiff’s Exhibit “D.”) Following this surgical procedure, Ms. Jackson engaged in an additional course of physical therapy. In spite of our efforts to resolve this case, it did not settle. Thankfully. The jury awarded $951,000. 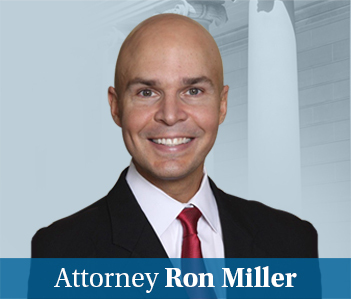 Plaintiff’s past medical expanses total approximately $77,000.00. (See Plaintiff’s Itemization of Medical Expenses, attached hereto as Plaintiff’s Exhibit “G.”) Her medical lien holders expect payment on full for this federal ERISA lien. Ms. Jackson’s foot is also problematic. She sustained a stress fracture to her right foot as a direct result of placing the entire weight of her body on her right foot following her left knee surgery. The stress fracture was identified and treated by Dr. Edward T. Howser during Ms. Jackson’ examination on July 9, 2010. The specific injury is a stress fracture of the right third metatarsal. (See Dr. Howser report, attached hereto as Plaintiff’s Exhibit “H”.) The extent of the treatment provided by the podiatrist, Dr. Howser, was in the form of a brace/strapping device that was applied to Ms. Jackson’ right foot. She has recovered fully from this right foot stress fracture. Dr. Howser notes, however, that the need to overcompensate for this injury put excessive demands on Ms. Jackson’s hips to the point where this could be an issue for her down the road. She will clear have future medical expenses. Dr. Freed’s believes she is a a candidate for a right knee carticel procedure. The doctor believes that the cost associated with the carticel procedure, which is a procedure wherein they remove a portion of Plaintiff’s cartilage and send it to a laboratory to grow new cartilage on top of the existing cartilage, is approximately $15,000. This fee does not include the surgical costs, operating room costs, anesthesia costs, or physical therapy. In actuality, two procedures are performed. In the first procedure, the doctor removes the cartilage from the patient’s knee and sends it to the laboratory to grow additional cartilage. 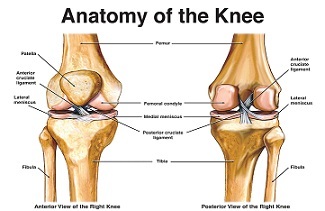 In the second procedure, the surgeon replaces the cartilage in the patient’s knee and, hopefully, the knee then accepts the new cartilage and helps to resolve the knee problem. The Plaintiff will also require an additional rehabilitation period with follow-up physical therapy from this future recommended knee operation. As of February 1, 2013, Ms. Jackson incurred approximately 139 weeks of lost wages at $1,041.67 per week, for a total of $144,792.13. Plaintiff’s claim for lost wages in the past is for two full years of lost wages, and an additional period of time for partial lost wages under the Massachusetts workers’ compensation law. There was some discrepancies between Dr. Freed’s written reports and the disability slips. Prior to the automobile collision, Ms. Jackson was very active. She had no prior knee complaints at all. (See Plaintiff’s deposition at p. 27, attached hereto as Plaintiff’s Exhibit “K.”) The Plaintiff enjoyed a variety of physical activities before the accident including dancing, yoga, ice skating, rollerblading, snowboarding and exercising with her dog. At times after the accident, the Plaintiff hired someone to walk her dog. (See Plaintiff’s Exhibit “K,” at pp. 73-76.) In light of the Plaintiff’s continuing problems with her knees, she sold her Jeep Liberty as she could no longer operate a manual transmission vehicle. She is also unable to perform any activities that involve kneeling or squatting, and it is extremely difficult for her to walk in snow or sand. Steps also pose a significant problem. Prior to the automobile collision, Ms. Jackson’ employment history consisted of various sales positions with retail establishments. As this employment required Ms. Jackson to stand for extended periods of time on her feet and to be mobile throughout the entire day, she can no longer return to this type of employment. Ms. Jackson has selected a new area for employment in light of the continuing problems with her knees. She has decided to become an optometrist and is currently attending the Southern College of Optometry located in Memphis, Tennessee. Following completion of her education, she hopes to become employed as an optometrist. This line of work will give her the freedom to become gainfully employed in a career where she is not required to stand or sit for any extended periods of time, thereby relieving the stress and pain on both of her knees that is associated with an eight hour physically demanding job. In conclusion, the Plaintiff sustained severe trauma to both of her knees as a direct result of the automobile collision. She has undergone three knee surgeries to date, and is a candidate for a fourth knee surgery in the future. The injuries have changed her entire lifestyle and have forced her to change her career. The available insurance proceeds of $891,000 are woefully inadequate to fully compensate her. Ms. Jackson will, however, will reduce her settlement demand to this amount in an effort to resolve the case and protect your insured from excess exposure. As I told you last week, we originally had no intention of sending in a settlement demand in this case. You have convinced me otherwise in telling me how eager you are to resolve this claim out-of-court. But we are no going to drag our feet. Please let me know your position within 10 days.